We interrupt our regularly scheduled aviation programming to bring you…diving. Why? 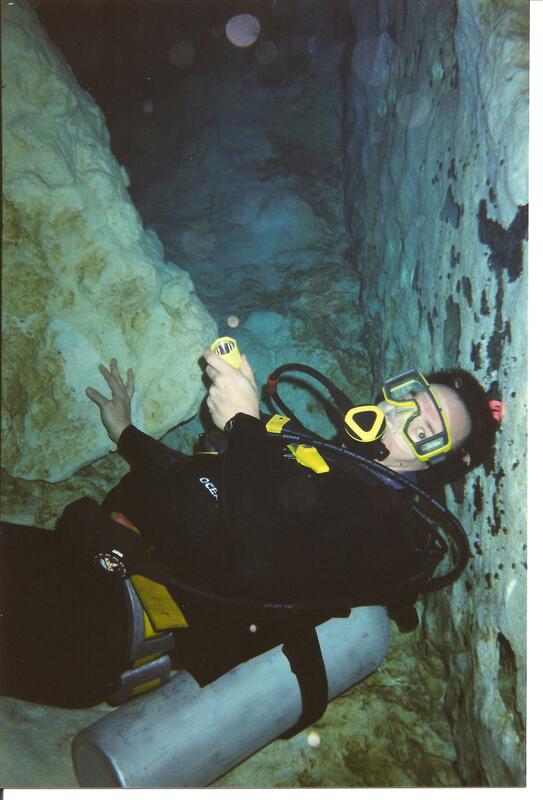 Because I have pictures from the Florida cave dive. Not nearly as much fun as flying but still a great sport. Similar to aviation, equipment must be in good working condition, training is required and there’s risk management. Few venues are as risky as cave diving. Not night diving on a shipwreck. Not search and recovery in near zero visibility which is plenty creepy when a freighter passes overhead. The water wasn’t nearly deep enough and we could only hear the engine but not see the screws. Ice diving? Only for those who have lost their minds after repeatedly freezing their brains. Cave diving demands redundant systems and managing acceptable risk. The most important reason: No vertical egress. If you run out of air or have an emergency (embolism et. al.) you must return the long way and ascend no faster than one foot per second. A dive computer helps but a dive buddy is a safety requirement. Another thing. 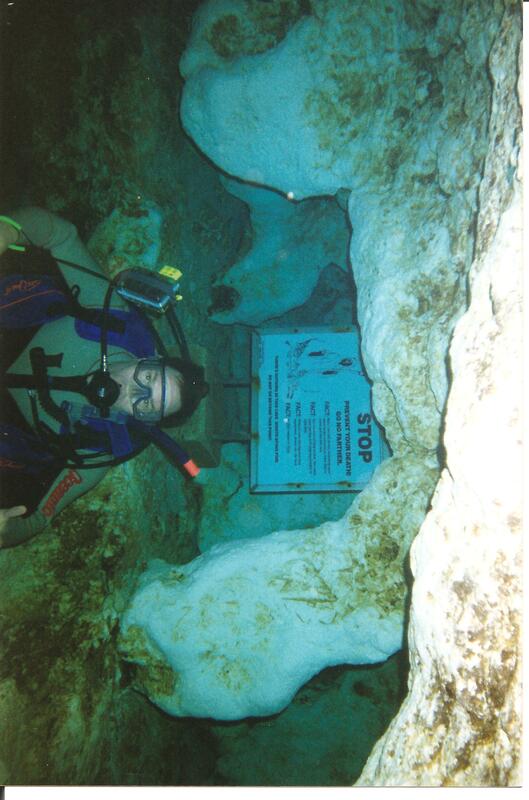 Cave diving has plenty of challenge but there’s usually not much to see compared to ocean reefs and shipwrecks. The visibility is the best, so you can basically see nothing perfectly. The deepest I’ve tried was about 100 feet with none of it straight down. Did I tell you how dark it is without a dive light? The sign behind me reads: “STOP – Prevent Your Death-Go No Further” The fine print below reads “There is nothing in this cave worth dying for”. Which is true. Longest time in an underwater cave does not produce a winner. 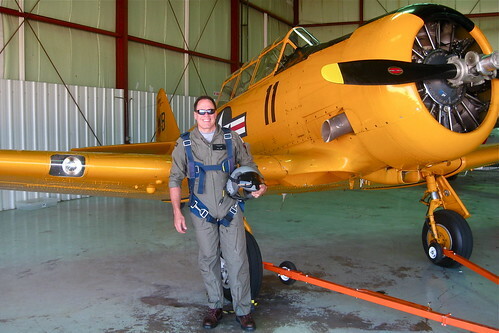 Flying and diving have something else in common: You can’t rationally explain why anyone should go up in a light airplane or down in an ocean. Below, my brother is ready to lead the way. Not recommended if you don’t like confined spaces. PS: To expand on “six-degrees bit, at Culver, turns out that my cousins’ room-mate at Culver ended up as room-mate of one of MY college room-mates and fraternity bros in plt tng in Lubbock @ Reese AFB. LOL, small world indeed! And of course, I’ve already mentioned that my partner-in-crime at ROTC summer camp, Chicago-based Craig Duchossois was a Culver graduate as well. And one of the guys who runs the Blog “Winds of Change” went to Culver at that time also and dated Craig’s sister! LOL!! Truk has been on the bucket list for some time. That and the Great Barrier Reef. (Wonder if Chris Parkes is a pilot / diver). Salt water spoils you and is everything Great Lakes diving isn’t (cold; poor vis; etc). Belize would be pretty good too. Funny-my cousin went to Culver too. Wow, I think this is pretty funny. You describe the sign in detail and what’s written on it but did you understand it at all? If so, why didn’t you follow it? Obviously you have no cave equipment (you are on a recreational single tank setup with a freakin’ snorkel in a cave lol) and no cave training (otherwise you wouldn’t use this totally inadequate equipment) so you shouldn’t be in the cave at all – that is what the sign is saying… A conduct like that is an accident waiting to happen. So the Darwin Award goes to… you and your buddy! On this occasion we did not pass the sign. I have been down as far as 100′ (vertical) cave diving though-lines and divemaster in tow. Pretty dark and I agree that training, equip,ment and extreme caution are in order.